Samsung's iPad rival packing 4G and Android? Samsung iPad rival to pack Android? Update: read our Hands on Samsung Galaxy Tab review and find out whether this really is a rival to Apple's iPad. Samsung's fabled iPad rival looks like it might be packed to the gills with the latest technology as the Koreans take on Apple. 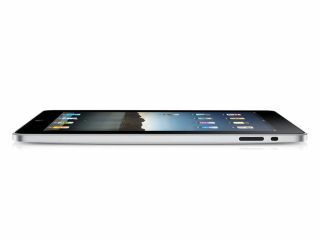 The Apple iPad has yet to launch, but already has been criticised for lacking a number of key hardware and software features. According to Tweakers, the new Samsung tablet will be running the latest version of Google's Android system, as moving to Microsoft's Windows 7 will slow things down too much. It will also have a greater number of input and out put ports, which will presumably mean USB and memory card expansion, something the iPad sadly lacks. The final point that might give the Samsung Android tablet a significant advantage over the iPad is the use of 4G connectivity, enabling blinding wireless speeds well in advance of today's 3G. However, this hints at a more Asian-centric focus if true, as the proliferation of 4G networks around the rest of the world has yet to take off.